Everyone of us has the right to education. Unfortunately though, some people who are financially incapacitated yet have the desire to study do not have an access to this right. So they apply for a scholarship. But, it’s as hard as a job application. Thousands of aspirants apply yet only a few are selected. The common reason to this problem is the ineffectiveness of the scholarship bid. 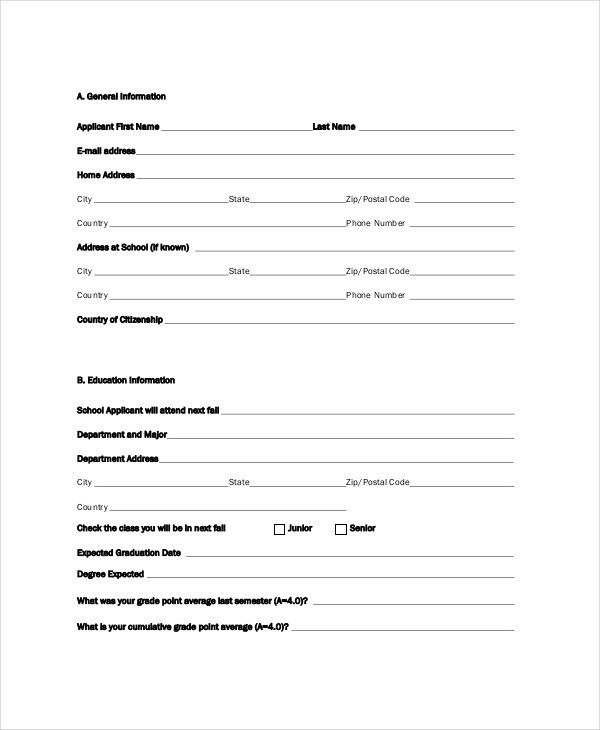 We have to use an application fit for a scholarly person. Colleges and universities look at each application meticulously searching like vultures. They are careful at selecting who gets a shot at a scholarship grant. 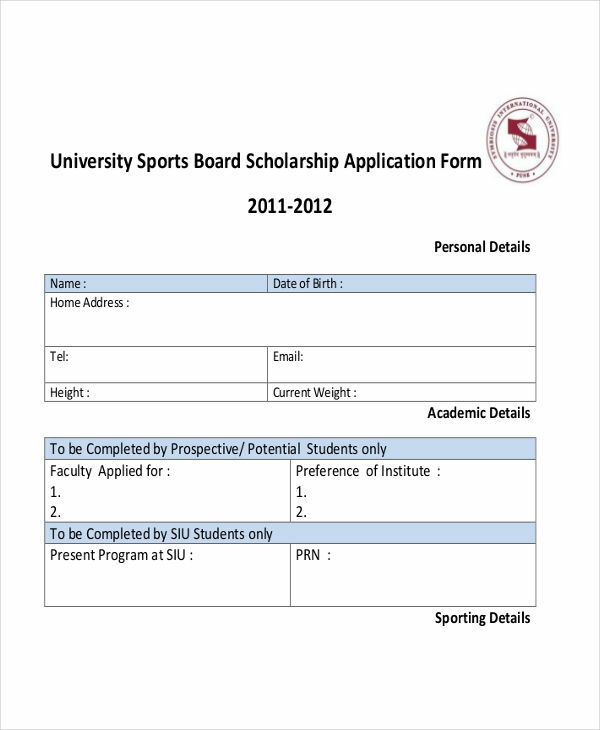 Let’s understand what a good scholarship application is. 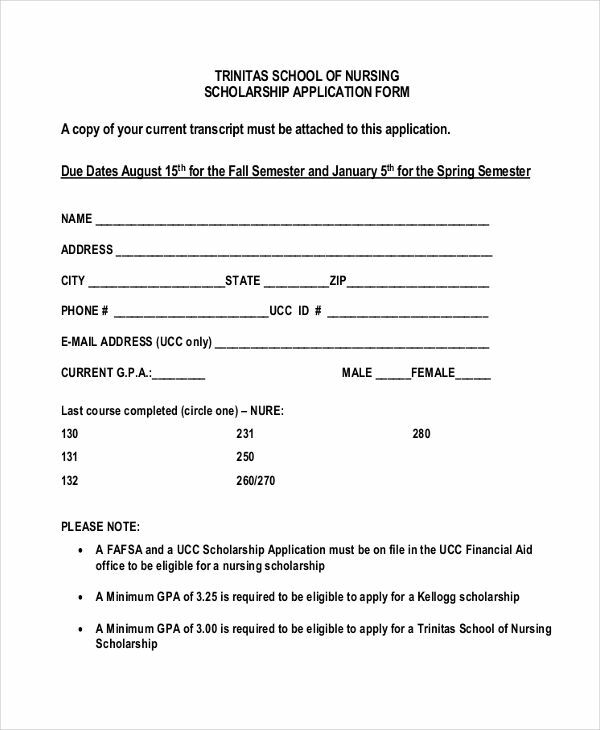 A scholarship application is a written document drafted for the purpose of getting an admission in a scholastic institution with a financial or educational aid. 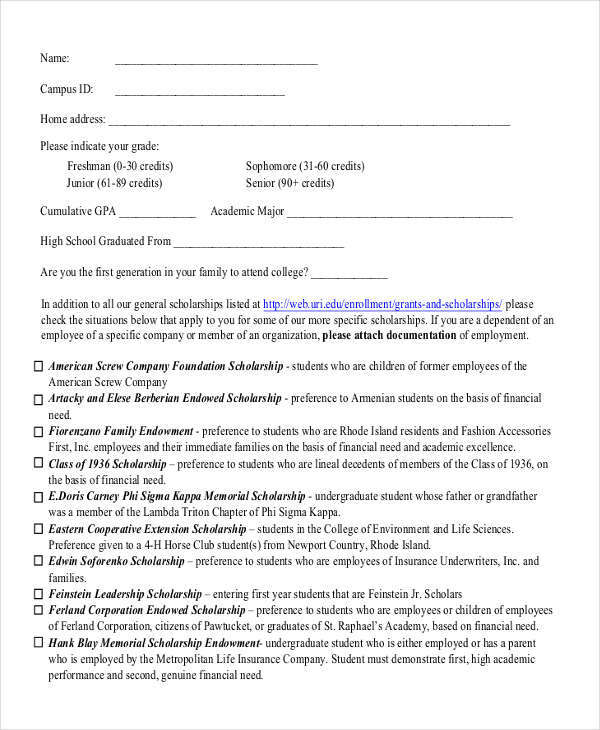 A scholarship may be granted by the school, an organization, or a benefactor. Just like application examples, it is intended to supply the reader or recipient with the right amount of information fitting for the position being applied for. 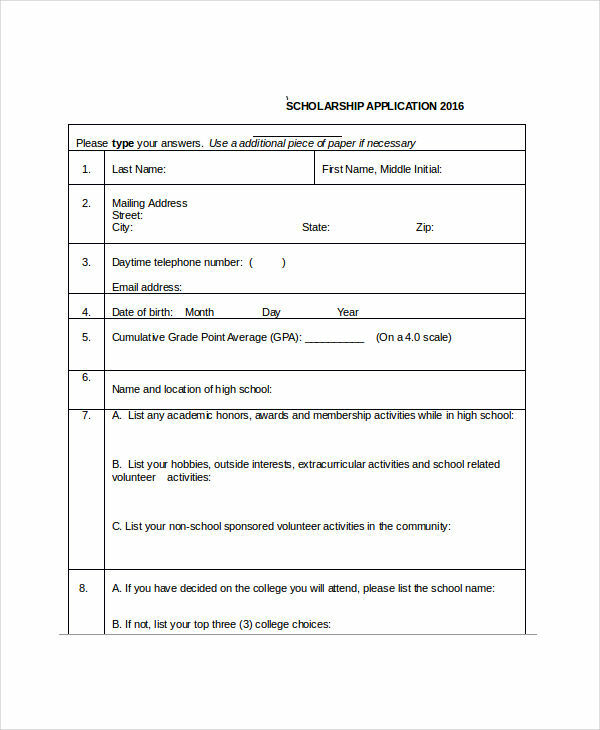 The main objective of a scholarship application is to provide sufficient reason why the applicant deserves an admission at the school and what makes him/her qualified for the said grant. There are a few sample applications that could give you a hint on how it should be written. But, to have an effective scholarship application, you need to include these things. Personal Information. You need to write your personal details, e.g. Name, Address, Date of Birth, etc. Educational Achievements. Enumerate your educational attainments, the schools you went to, and special achievements you received. You need to be specific with the details because the more achievements you received, the more likely you will be chosen for a scholarship grant. Financial Capacity. Some schools provide scholarship to the underprivileged, so do not hesitate to tell your family’s financial capacity. The youth literacy rates in South America and Europe are among the highest with 90–100% literacy. The African continent, however, has areas with less than 50% literacy among children ages 18 and under. This is according to a research headed by UNESCO in an effort to spread awareness of the growing population of people who do not receive proper education. The economy in these continents is one of the many reasons why children are out of school. However, some of the children from third world countries do not settle for less and seek education somewhere else. Many opt to work to pay for their tuition while others seek for scholarship grants. In order to get this grant, the student needs to write a scholarship application. 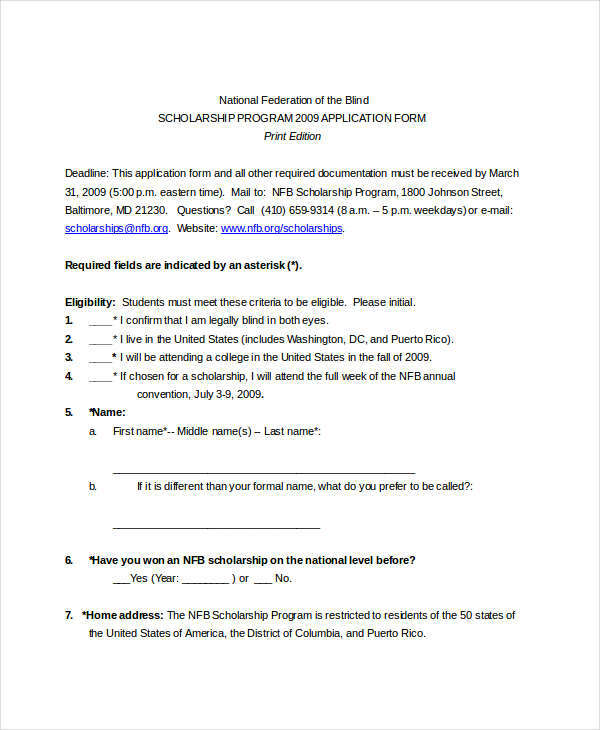 A scholarship application is the same as a grant application. The purpose is one and the same although a grant is more like a general term. 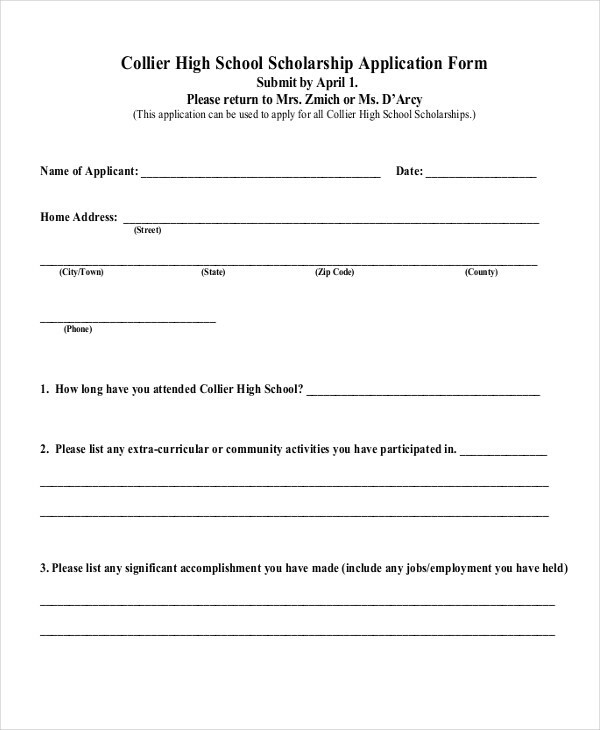 Scholarship pertains specifically to education. 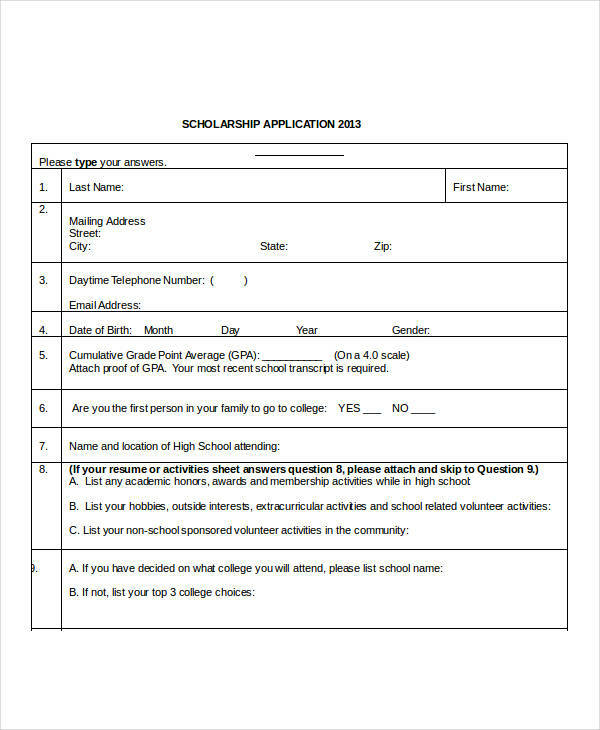 Writing a scholarship application is a stepping stone for a person’s educational freedom. 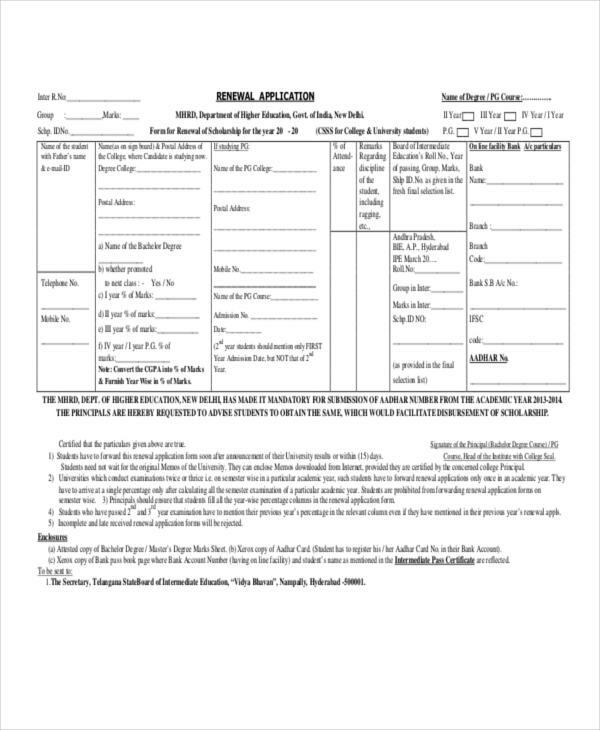 It is a document that could get you anywhere in the world. It is an application that could fulfill your dreams and land you the job you always dreamed of.